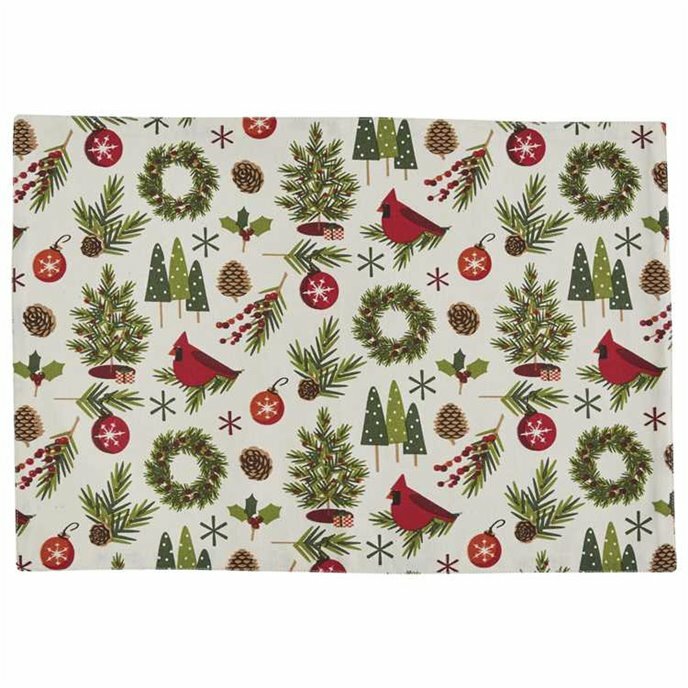 Deck the halls with boughs of holly, and Christmas Greenery placemats by Park Designs. Create a joyful tabletop with the whimsical artwork of Sarah Frederking on the licensed Christmas Greenery design featuring red cardinals, holly boughs, starbursts, pinecones, wreaths, Christmas trees and ornaments. Shades of red, green, and woodsy brown on a creamy off-white background. Dimensions: 13" x 19". Made of 100% cotton, with solid ivory backing. Care instructions: machine wash, reshape, and dry flat. Imported by Park Designs.